Cocktail bitters are to cocktails what the salt is to soups – this sentence is something like a standard phrase for anyone who is learning about bitters for the first time. Of course, most people who aren’t interested in cocktails still don’t really know what Bitters are, but among “Cocktailians”, hobby bartenders and barflies they are as natural as shakers and stirring glasses. The range of bitters, on the other hand, has by no means always been as it is today. Only ten years ago it was not so easy to find a multitude of different Bitters (at least here in Germany), even though “The Bitter Truth” had just become a globally successful brand. In most cases, the classic Angostura Bitters were the only ones available from the local dealer. Today the situation is quite different: with the renaissance of the “cocktail scene”, the golden age of mix culture, in which we undoubtedly find ourselves at present, more and more different brands and varieties emerge on the global market. So did Dr. Sours Bitters. 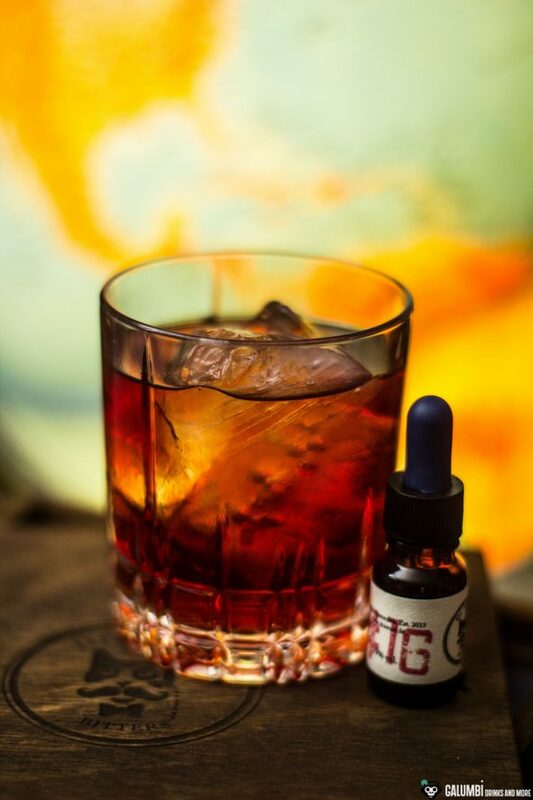 The Dr. Sours Bitters were created against a background that is quite similar to the status quo of the past that has just been outlined. While in the previous paragraph I mainly described the situation from my German perspective, it was a completely different story concerning bar culture and bitters in Mexico. Until a few years ago, a real cocktail bar in Mexico was rather a rare exception: Cerveza in the pub, Mezcal enjoyed neat – that was pretty much the most you could expect. However, not only has the awareness for Mezcal as a premium spirit also changed within Mexico (outside of Mexico, of course, even more so), the global “mixology” renaissance naturally also affected the Central American state. And Dr. Sours Bitters played a crucial role in this. The story begins with Manuel Weißkopf, who had previously worked as a bartender in Regensburg and Vienna, moving into a shared flat with the Mexican Sol Sours in Mexico City. Through her, Manuel got to know the Mexican drinking culture and the complexity of the topic Mezcal, he again brought in the know-how of the bartender and the whole merged to a business idea, which should finally change the Mexican bar landscape from 2015 (but also their lives since both have become a couple). The entrepreneurs now want to prove that this can also succeed in Germany. Against this backdrop, I am naturally very curious to see what will await me here. First and foremost, of course, the question has to be asked: What makes Dr. Sours Bitters so special, apart from the fact that they come from Mexico? Well, in principle Manuel Weißkopf and Sol Sours start off with the promise to produce completely natural bitters on the basis of Mezcal (they also sell their own Mezcal under the name MZCL) and thus to stand out from the mass of sometimes quite artificial bitters of other manufacturers (which I can certainly confirm, because by no means all bitters available offer what you would hope for). 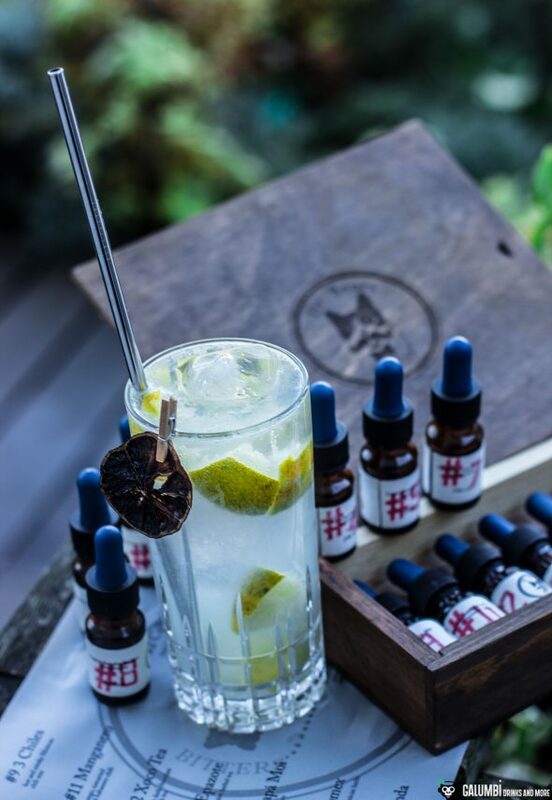 Their bitters are made from the very beginning in the spirit of Mexico, because not only the basic spirit is Mexican, also the herbs and spices originate from the Mexican flora and should open up a genuine Mexican world of flavors. Inspirations for some combinations have also been taken from classic Mexican cuisine. Since I love good and authentic Mexican food, they really catch me with that idea. So I’m all the more excited about what awaits me here. The Bitter range now has 19 different varieties (that’s more than remarkable), of which I am grateful to be able to test 14. 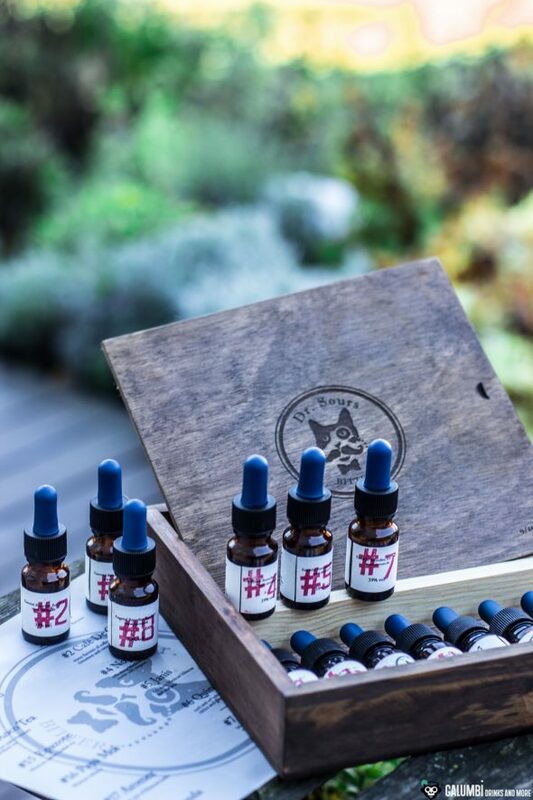 The really beautifully designed wooden box with the cat logo (Dr. Sours is the name of the cat on the logo) can also be bought as a set with small 1 cl bottles as shown on the pictures (for about 100 euros – that sounds a lot at first, but if you actually know common bitter prices, then the price is not out of the ordinary). But now is the time to finally check what I have in front of me. 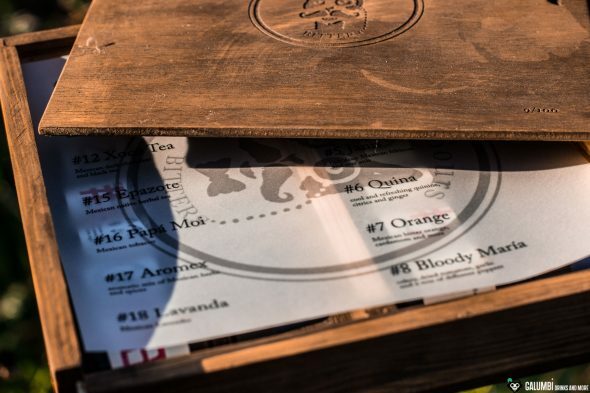 Dr. Sours number their sour variants, but not all numbers are permanently part of the assortment, because may be based on seasonal ingredients or are currently not available due to other reasons. 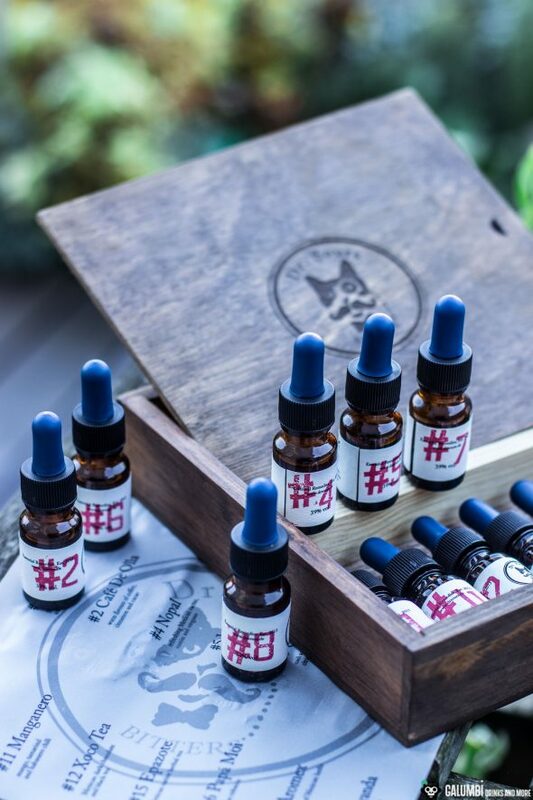 Therefore, I will only go into the varieties that are included in the Dr. Sours Mini Kit in the following. During the time of reviewing and writing this article it was also not possible for me to test every single variety intensively and also I could not make appropriate photographs for all drinks, nevertheless I would like to describe my impressions here as good as possible. Here, it is all about citrus – with lemon and lime peels, but also Mexican citrus fruits such as the Limón Real have been processed. A spicy ginger note is also indicated. I tried this variety in a classic Tom Collins – and I’m still thrilled: I haven’t experienced this spicy-fresh and slightly smoky nuance in this drink before. Awesome! Here, the Mexican way of drinking coffee is honored with additional spices of cinnamon, caramel, vanilla and cocoa. It is advisable to try these bitters with barrel stored spirits. An idea I liked to take up in a Rhum Agricole Old Fashioned with 10-year-old Clemént, where I simply replaced the Angostura Bitters with Dr. Sours Café de Olla. Fruity, mineral, herbaceous and milky – this sounds wacky, but describes the claim and reality of the Nopal Bitters, which come up with Mexican cactus, cumin, oregano and indeed locusts. That’s definitely a bit weird and – in my opinion – super promising. I tried out the Nopal Bitters in a classic margarita, which was spicier, fuller and richer and actually offered a good portion of the much-invoked umami. Mexican hibiscus and star anise – this is the tasty route here. Agua de Jamaica is a hibiscus-based refreshment drink with anise and cinnamon that is widespread in Mexico, hence the word combination of Jamaica and anise: “Janis”. I tried these bitters with their berry notes in a classic Negroni. Maybe I should have chosen a less powerful vermouth, because against Campari and Antica Formula the Bitters had a hard time. Nevertheless: the quality of the Janis Bitters is out of question for me. In the trial and review time frame of this article, I probably didn’t make an optimal decision. Maybe a Negroni combination with Mulassano rosso and Mondino would be better. China bark, citrus fruits, lemon grass and ginger provide a lively, fresh character. Exciting in a Gin & Tonic, whereby I would definitely recommend not taking a floral and citrusy gin and stay on the classic or even dry side with the Tonic. Otherwise, it will quickly get a bit too fresh and lemony – but the mezcal component in the G&T is really good. With this very interesting alternative to conventional orange bitters based on Mexican sweet and bitter oranges, I was very curious to see how the smoky component of the Mezcal would perform. In this respect, I have to say clearly that it depends on the intended use. In a Martini, I would like Dr. Sours #7 Orange Bitters less. Unconventionally, I used it in a White Russian – and I was really thrilled! The smoke, the expressive orange – a great addition to the coffee liqueur in the drink. 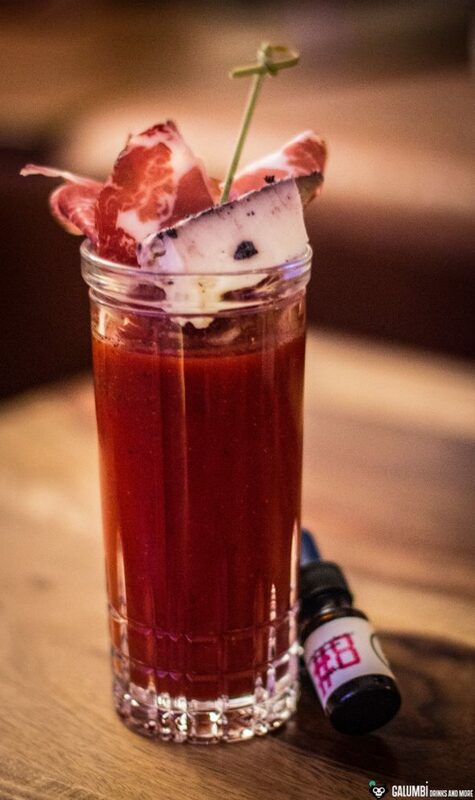 Again, I was very excited – and simply followed the obvious suggestion to use it in a Bloody Mary. And that works out very well! Celery, dried tomatoes, various peppers and garlic give the number 8 its character. Mexico without chili is certainly unthinkable. With regionally inspired Bitters, it is therefore hardly surprising that they have also released their own Chili Bitters. 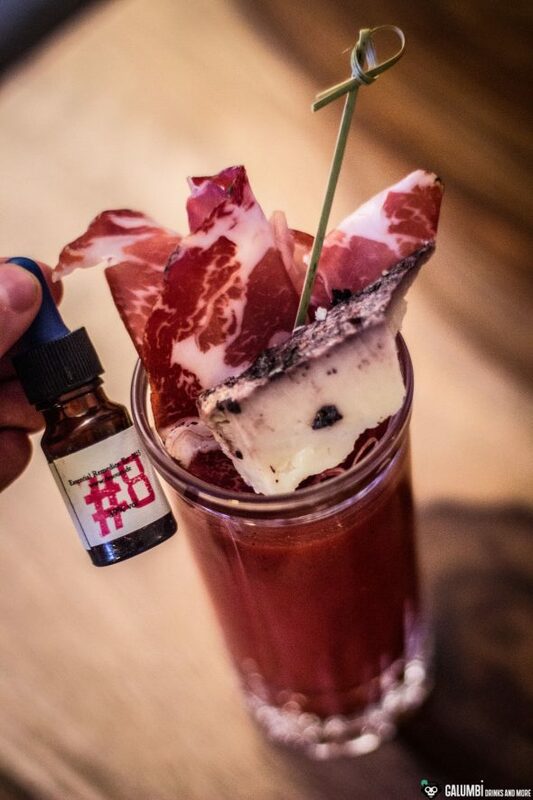 The suggestion of Dr. Sours is very interesting here, because besides a Bloody Mary it is also recommended to try it in Salsas or a Guacamole. 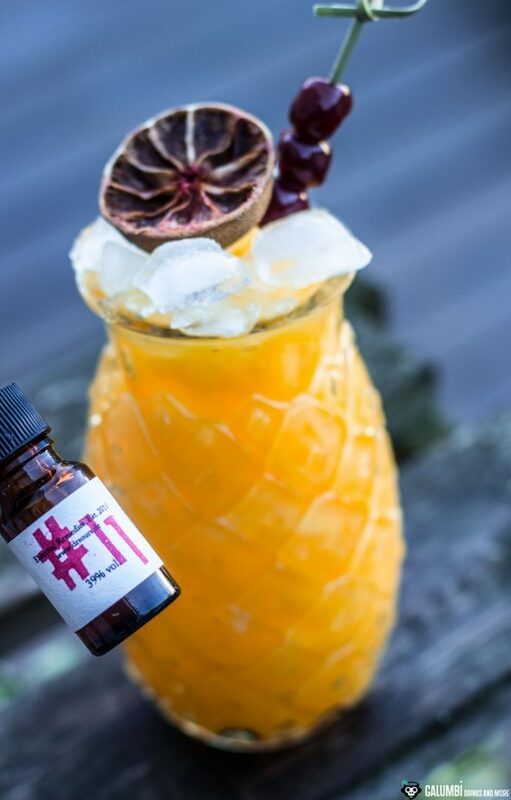 Mangos, tamarind and habaneros – when you think of this combination, you (at least I) immediately think of Tiki. And it was in one of these that I tried them. I took up the Pina Paradise, but replaced the almond extract with the Manganero Bitters: great! It is widely known that Mexico is the origin of cocoa and chocolate. Just recently I was thinking in this direction with my adaptation of the Clinton Street Pub’s Jalisco Egg Cream. So it’s all the more interesting to be able to use the right bitters, which are absolutely great in just that cocktail (and I’m sure: also in others)! They are based on Mexican dark chocolate and black tea. Epazote is a Mexican plant that is also known as Mexican tea or Dysphania ambrosioides. Since I had no experience with this plant, I didn’t really know where to go. Therefore I haven’t gathered any experience yet, but I will certainly experiment a little in the future. Now we have arrived at my absolute highlight. The Papá Moi Bitters with the number 16 are the tobacco bitters from Dr. Sours. I’m not a smoker, but I like the smell of tobacco (not to be confused with cigarette smoke!) and made myself a Boulevardier with it. You have to try it out! That was one of the best Boulevardiers I’ve ever had! Here we have a kind of Mexican response to the classic Angostura Bitters, based on over 20 Mexican botanicals. Where better to try out the effect than in a classic Old Fashioned? It works quite well! Lavender is a fragrance (and also a taste), which must be used well dosed. I have not tried them so far, but I can well imagine that these bitters can give a classic Martini a very nice twist. So can I recommend the Dr. Sours Bitters? Anyone who has read my descriptions up to this point will have long recognized: Absolutely! Of course, the Dr. Sours Mini Kit is not necessarily an ideal investment for every hobby and home beer tender, because the amount of varieties can be overwhelming and you should probably be able to drive well with some selected varieties (depending on personal taste and favorite drinks). 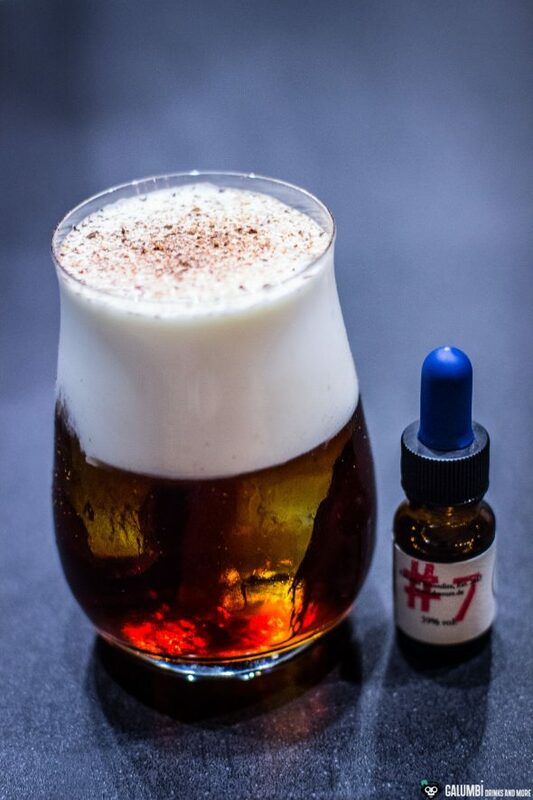 For bars and professionals, Dr. Sours Bitters are a must if you really want to give your drinks a unique Mexican touch. If you don’t believe it, you should take a test. In short: Both thumbs up from me! Buying sources: In order to find out about the right retailers, it might be best to have a look on this site. *The fact that these products have been sent to me free of charge for editorial purposes does not – in any way – imply any influence on the content of this article or my rating. On the contrary, it is always an indispensable condition for me to be able to review without any external influence.